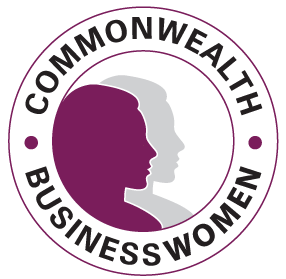 Following the overall aim of Commonwealth Businesswomen, the Academy seeks to provide an environment that supports women at all stages of their business journey and business growth and celebrates the economic impact businesswomen have throughout the Commonwealth. The Academy recognises the need to support, train and mentor women from start-up through to mid term, through to exit and thereby create a cyclical pattern whereby those who have been invested in, invest back into the business community. The Academy is an academy of peers. A global network that challenges and supports. It is peer group that is designed to create the business and thought leaders of tomorrow. Through its online ‘Business Exchange’ trading platform it provides the opportunity for businesswomen to trade across the Commonwealth, to seek partnerships and collaborations and promote their businesses globally. Investor Members identify the part of the business journey they are on and use the support, training and mentoring available with that particular business level. They can navigate to the next level as their business grows giving full access to the ‘BusinessExchange’ trading platform at all stages. Board Readiness In acknowledging success an Annual Commonwealth Businesswomen’s Award Ceremony will be held providing a range of opportunities for women to celebrate their success and promote their companies. Initial modules on procurement, entrepreneurship and export readiness have been exclusively developed with world leading service providers. Strengthening the Commonwealth. Building Businesses. Advancing Women. 53 Countries. One Platform.